You'll be living large in this dazzling modern rustic lodge w/ stunning layered panoramic mtn views & upgrades galore. Complete w/ 4 generous sized BR & 3.5BA, this spacious chalet has everything you can imagine'¦ & more! The open great rm & kitchen w/ an abundance of glass allows you to soak in the views year-round from the enjoyment of your floor to ceiling stacked stone FP & offers magnificent entertainment space. The full fin. basement offers sleeping quarters & rec/media room w/ wet bar, stone FP & exit to 2nd level of decking to enjoy the glorious view. This stunner offers a gentle driveway & plentiful parking complete w/ 2 car garage & level yard for the outdoor lover. 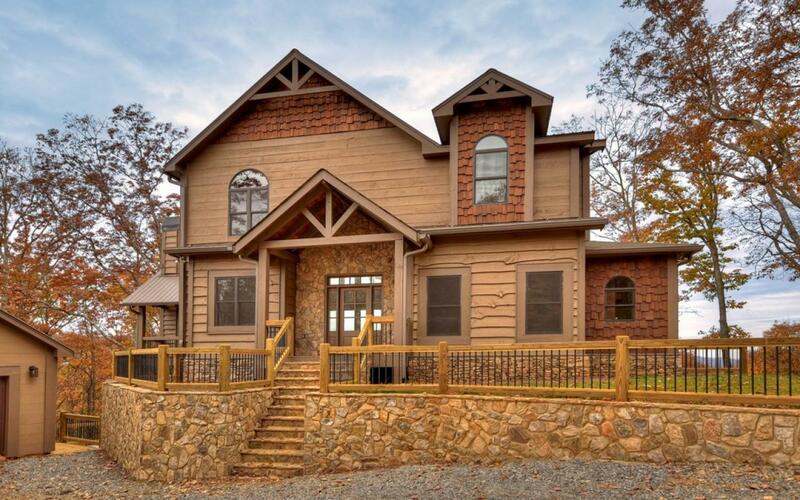 The Heights at Cashes Valley showcases the best in elevated rustic living, as it borders the USFS, & boasts all paved roads, gated entry, u/g utilities, & pavilion overlooking comm. pond. What are you waiting for?